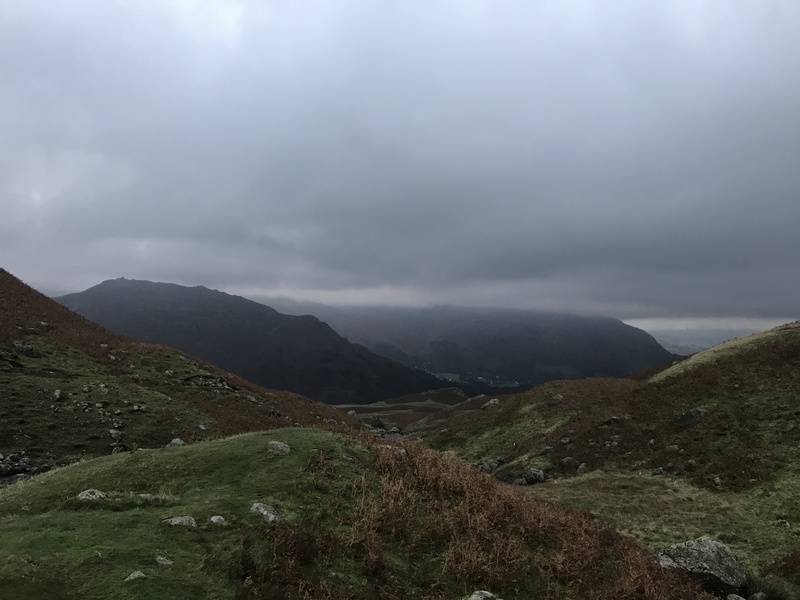 Home / Equipment / An adventure in the Lake District with inov-8! 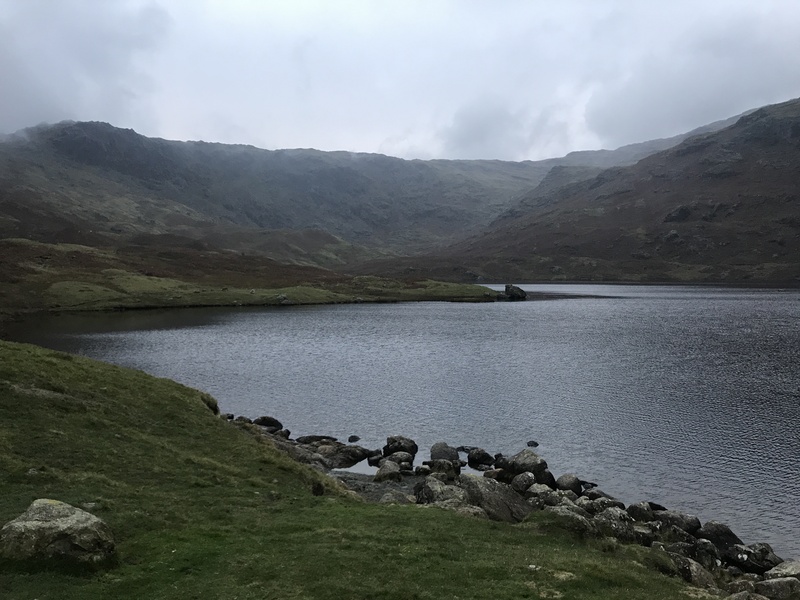 An adventure in the Lake District with inov-8! It’s a sunny morning down south as I begin a five hour journey across London to the Lake District. Oxenholme Station to be exact with the final destination being Staveley. The home of inov-8! What do you think of when you think about inov-8? I think my first perceptions were lightweight, minimalist trail shoes that you can smash about the trails and mountains in. A brand with Northern heritage that are for elite hill runners, perhaps? How wrong can one man be! After my epic journey and far too many coffees, I arrive at inov-8 HQ just in time for lunch. It’s not a massive building, they are buried in some offices in the corner of a very cool yard. The kind of yard that has a hip coffee shop, brewery and bakery. My kind of yard! As they proclaim later, they are not a big team and they’re proud of where they are in the world. 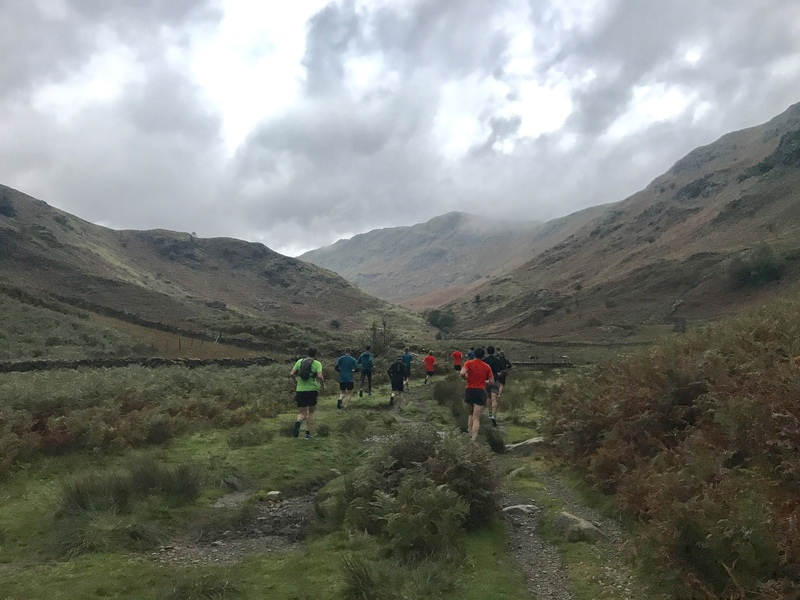 The offices are surrounded by fells and trails and the team use their lunch breaks to test out new kit and to go running. Why wouldn’t you? We sit down for a few hours of product training, so we can immerse ourselves in the brand and learn all about who they are, what they stand for and all their awesome products. The first thing that hits me is that they make shoes for all terrains – whether it’s ice, mud, rock, trails and even road. Their shoes are all different widths (there’s 5 different sizes). they’re precision fit, there’s 3 different kind of grips and the number on the shoe is the weight. Another cool thing is that if you look on the heel on the shoe, the arrows indicate the amount of drop on the shoe. One arrow is 4mm and 2 is 8 and so on… (there’s a couple of exceptions where they are a 3 and a 6). 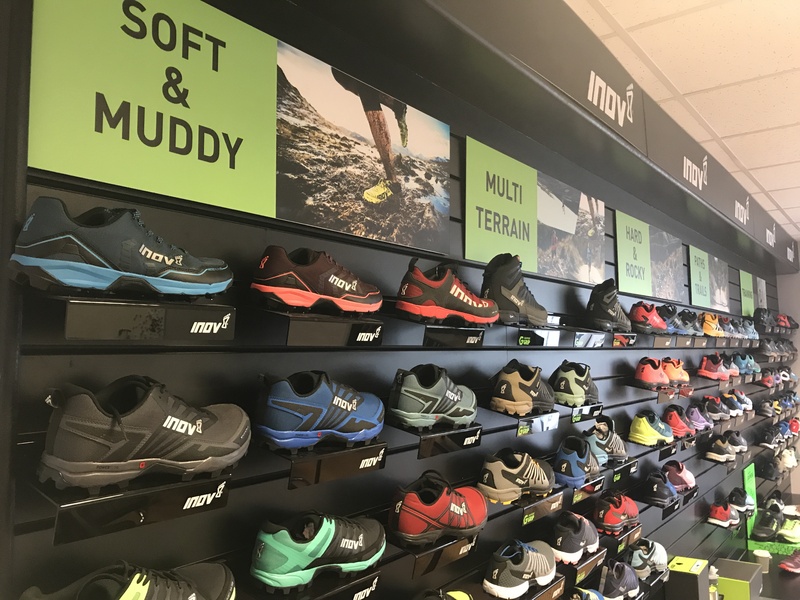 inov-8 have only been around for 15 years, they are relatively new in the shoe world. They don’t have sponsored athletes, they have ambassadors (like us really) and I loved how passionately the team spoke about the brand, and how knowledgable they were about the plethora of shoes, jackets and all accessories. They even brought out the people who design the products, so we could give them feedback. Cool huh?! We’d sat for a few hours and listened attentively, now it was time to get out and do some running and shoe testing. 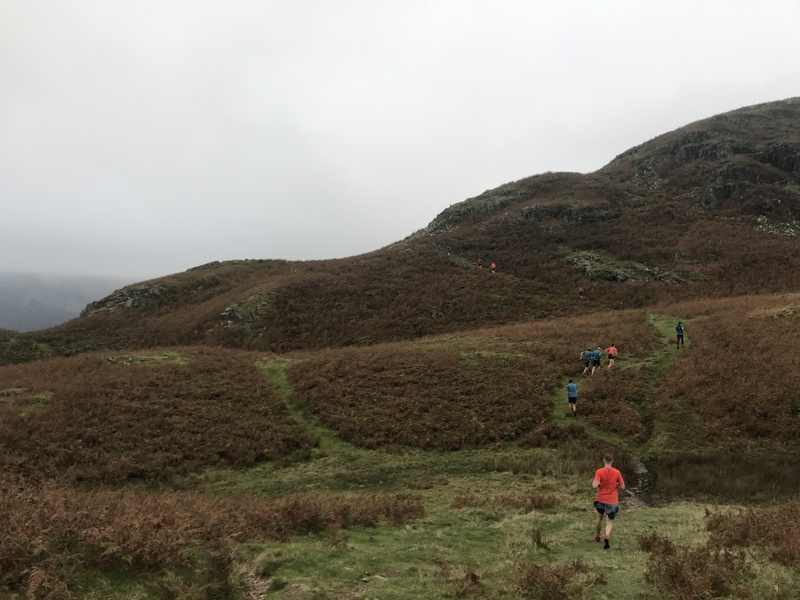 inov-8 gave us some X-Talon 230 and Roclite 290 to test out… first stop was running up the Loughrigg Fell and then back down it with some of their ambassadors – awesome ultra runners, Paul Tierney and Sarah McCormack. I can honestly say I have never ran on terrain like that in my life… we just don’t have it down south. The run was 5.7 miles and there was nearly 2000 ft of climb, which was great! The X-Talon 230 were more than capable of handling whatever nature threw at our feet (inov-8 are big on exteroception in their shoes – which means “relating to stimuli that are external to an organism” – as in being able to feel the ground around you with your feet and responding naturally to it with the shoes). 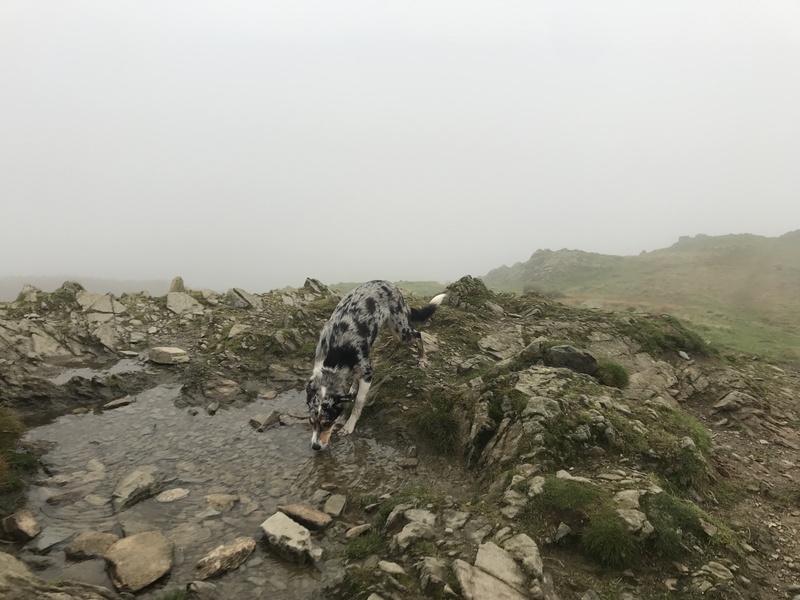 What do you do after running up a fell? Drink some IPAs and talk about running of course. 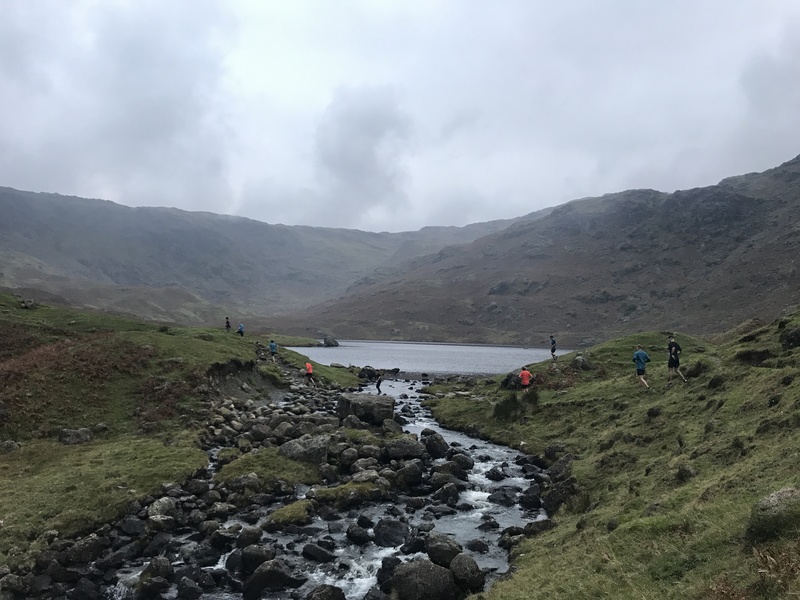 An early 6 a.m start and a different kind of run – a run to the picturesque Easedale Tarn with many a stop for a photo. We set off in the dark but when the light came it was all misty and close. We ran in the Roclite 290, a true all rounder, capable of running across most terrains and inov-8’s most flexible shoe. I’d ran in them before, and liked it, so was good to try them out on something totally different. I was trepidatious as we cascaded down slippy rocky paths, with the advice being “lean forward & go for it, or you’ll land on your heel and slip over.” Solid advice but easier said than done for a man who is used to tarmac / hard packed trails / the odd XC route. A solid 4.5 mile run and back to the Youth Hostel for more running chats and sausages. 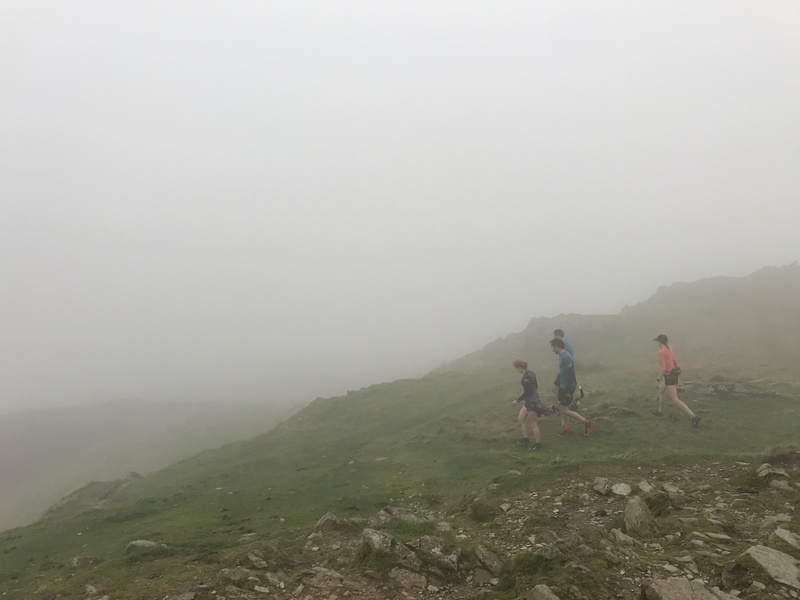 What did I learn from my 36 hours with inov-8? 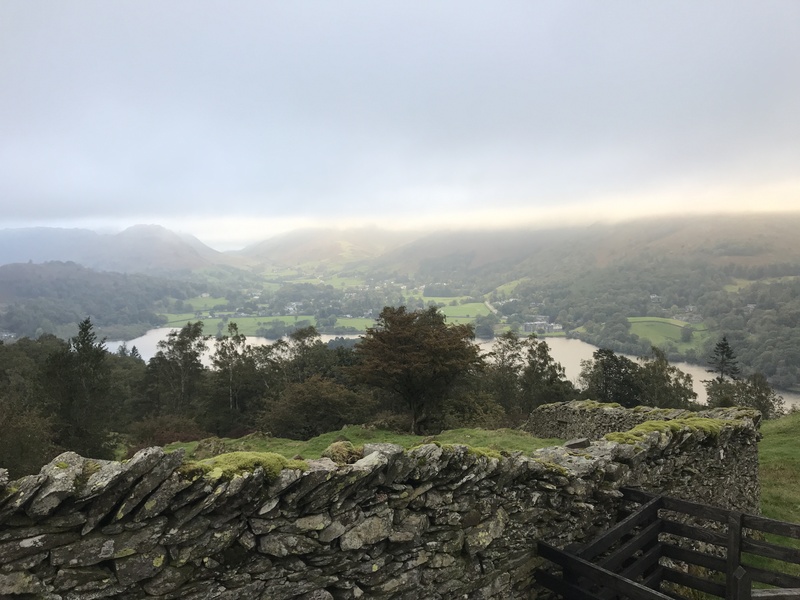 I learnt that I like running on fells and that it’s a totally different kind of running. It was so cool to be able to immerse myself in the brand, their heritage and everything they stand for. I learnt all about their shoes and equipment and that their shoes are for all terrains. At Alton Sports we always advise to come in-store and try a pair on your feet, it’s the only way to see if those shoes are for you. 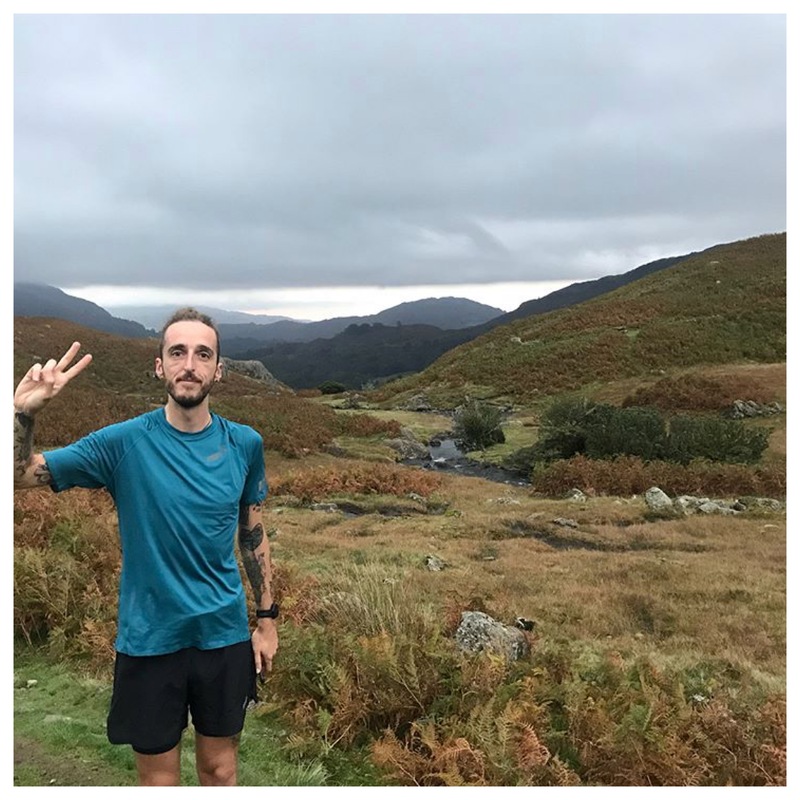 On a personal level I am looking forward to trying more of the range on… I did get to try some Trail Talons on since and they’re totally different to anything I have ran in from the brand – a lot more cushioning and therefore proving they have something for everyone…! Last but not least, it was cool to learn that they will be adding graphene (you might have seen their recent G-series launch) into a lot more of their shoes. Graphene will help provide the world’s toughest grip and is 200 times stronger than steel with the aim being that 80% of their shoes in 5 years will have graphene in. A whirlwind 36 hours and then one last 5 hour journey home south. A trip that educated me about the brand but also added a whole new world of running into my life. Amazing. 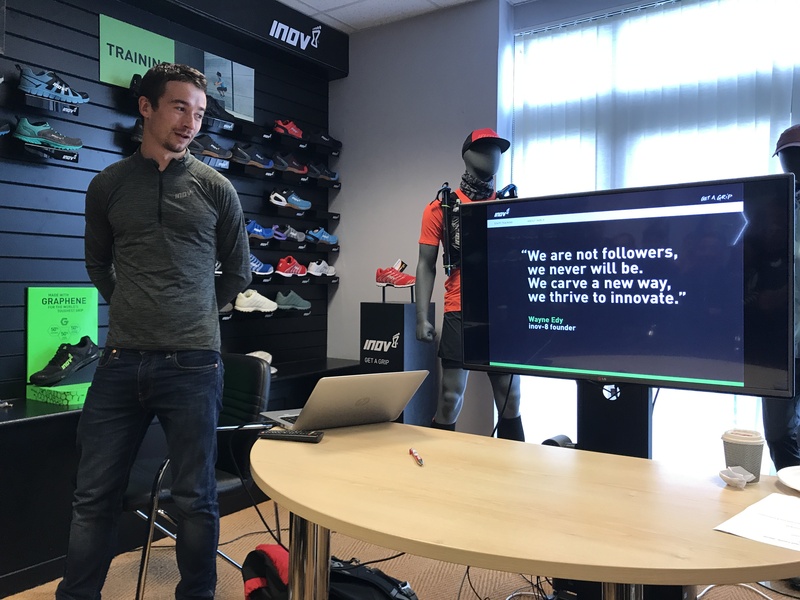 Can’t wait to go back there and do some more running, and I’ll be popping into to inov-8 to say hello and see if I can try on some more shoes. 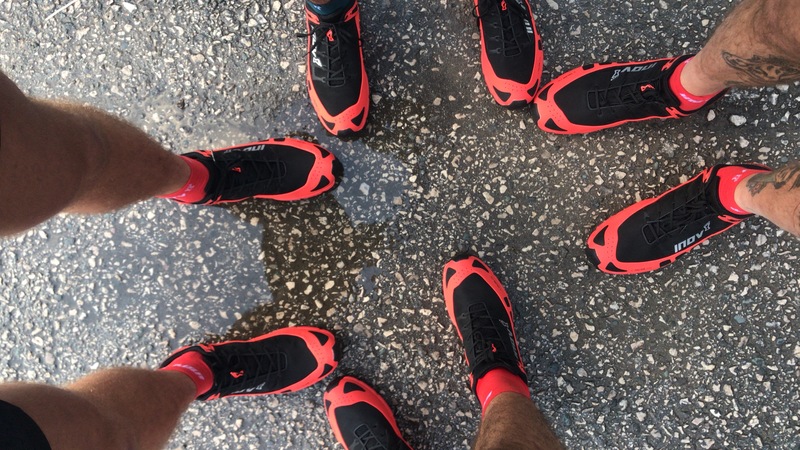 Check inov-8 on our site. 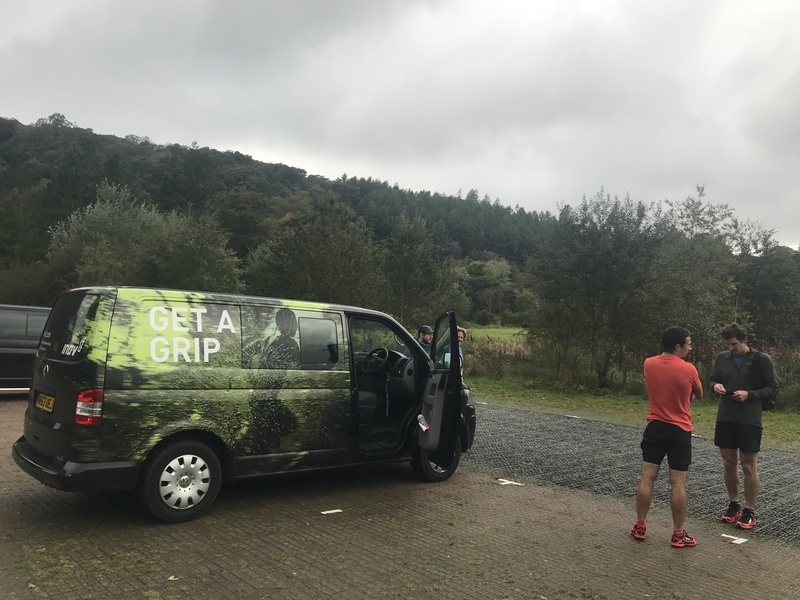 Alton Sports Ambassador Day – Hoka One One at Windsor Great Park!